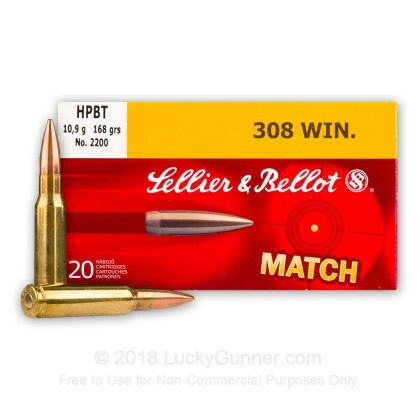 308 Win Match Grade Ammo by Sellier & Bellot is sure to deliver within the exacting tolerances you would expect from a company that has been producing ammunition since 1825. 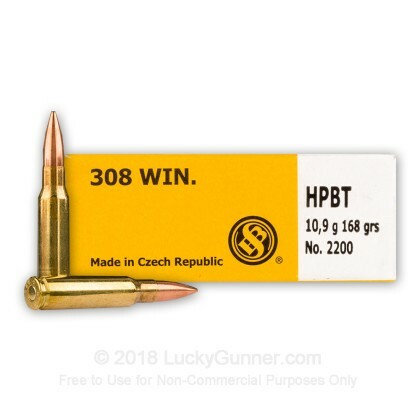 This 308 Match grade ammo features a Sierra Match King boat tail projectile design for flatter trajectories ensuring that it's the perfect round for competitions and hunting alike! I've shot plenty of S&B pistol cartridges through various handguns, but this was the first rifle ammo I'd tried. 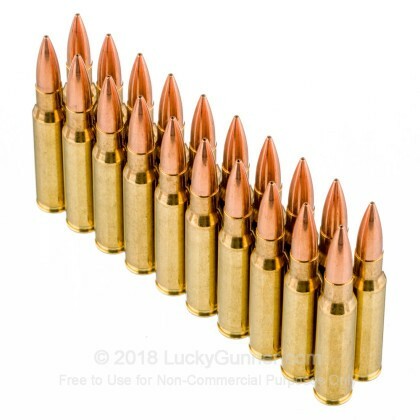 I got the 168gr "match" .308 and of the 6 rounds I tried through my Kimber LPT 3 of them failed to fire. 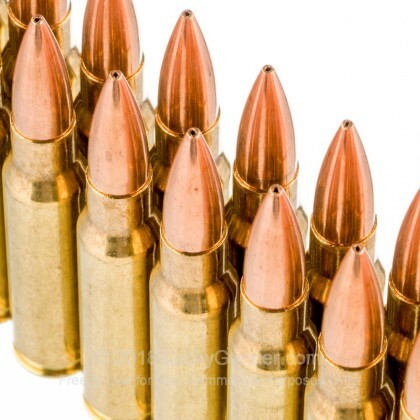 I shot Hornady and two kinds of Federal and every round fired. The 3 S&B FTFs all had dimpled primers. The roudns that did fire hit well, but a 50% failure rate is unacceptable at any price. The box isn't fancy but the ammo is well made. Shots were better than I expected. Q: frequent customer. 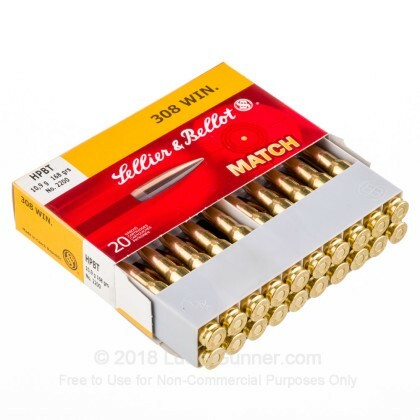 your header description indicates this S&B 308 ammo uses the Sierra Match King bullet. the S&B box pictured does not mention this nor does the S&B US website make the claim their ammo is load with SMK. what gives? A: Hello! I appreciate you reaching out to us with that concern. 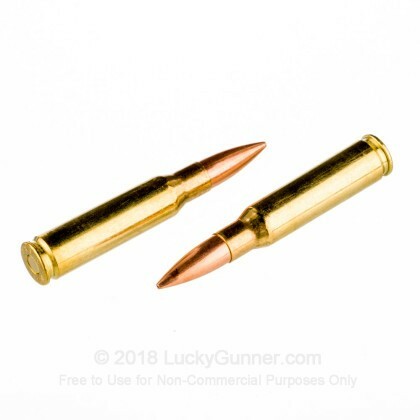 The Sellier and Bellot 168 grain .308 is loaded with a SMK projectile. The Sierra product number for their 168 grain SMK projectile is 2200, which is the reason for S&B using the "No. 2200" product code on the packaging.